In Winston-Salem, NC, there’s a place built just to give your ego a warm hug. Actually, three, soon to be four places that any person needing an hour or so of serious self-care can pop in feeling ordinary and come out looking positively fabulous. 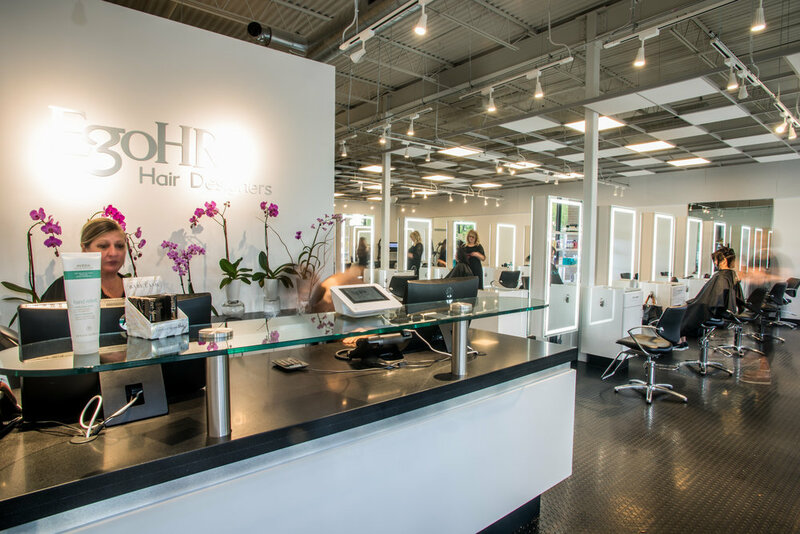 These magical spaces are called Ego Hr., a forty-year old chain of hair salons conceived of, created by, and reigned over by entrepreneur and salon-strategy genius Anna Smith. COG is thrilled to have a longstanding relationship with Anna. Michael Corcoran designed the two original Ego Hr. locations nearly 15 years ago. When Smith needed to relocate them, she once again tapped Michael (and the COG team) to design two replacement locations: Ego Hr. on Jonestown Road, a breezy, warehouse-inspired retreat that feels a bit like an apple store and a spa had a baby; and Ego Hr. on Stratford Rd, a warm, welcoming sanctuary set to open in February 2019. The space is a veritable warehouse, with exposed ductwork and soaring ceilings. But its size was both a blessing and a curse. 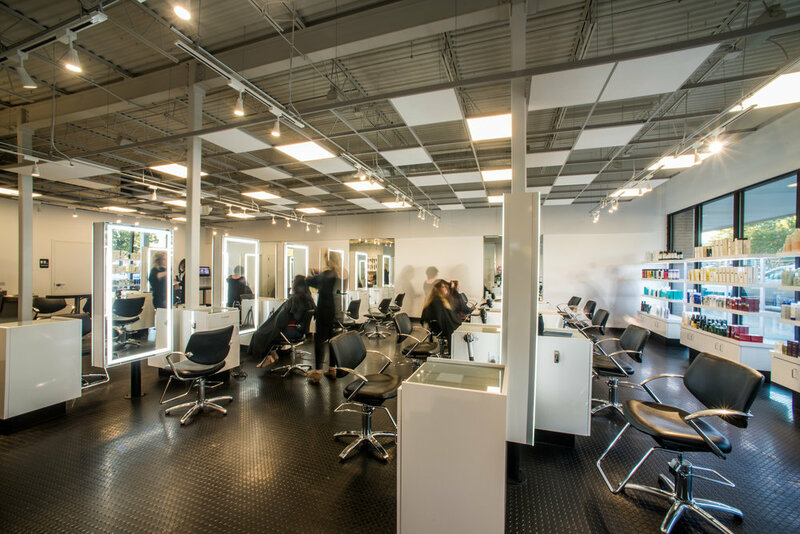 Twenty stylists work side by side at custom, COG-designed stations with LED-ringed mirrors. 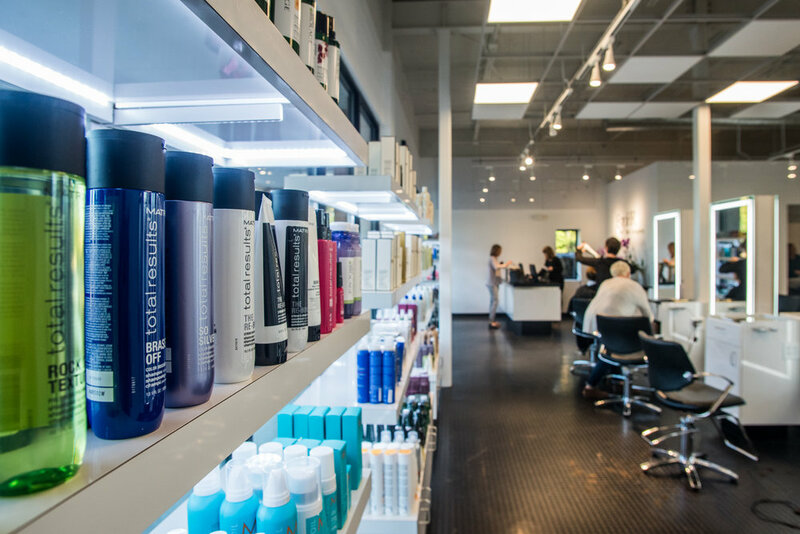 While impressive, traffic between there and washing stations, the salon’s communal “color bar” and community table where patrons wait as their hair processes, and between the bathrooms, changing rooms and the reception area and storefront had the potential to create chaos as the salon filled up during peak hours. We had a plan, however. With the opening of Ego Hr. on Jonestown Road and another Ego Hr. location in development by the COG team (more on that in a blog to come), Michel and Anna have had the opportunity to perfect their working relationship. By all accounts, it’s a creative collaboration unlike few others. “Anna is a joy,” Michael says. “To talk to. To work with. To create for.” The feeling, we’ve found, is mutual.